Wan Azmi back in the game? 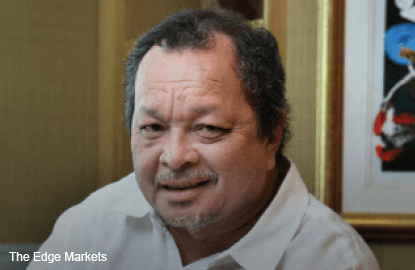 IT takes a lot to excite the stock market these days but Bursa Malaysia is now abuzz with the prospective return of one of its most prominent figures, Tan Sri Wan Azmi Wan Hamzah. Last Monday, Tecnic Group Bhd announced that it could be the subject of a reverse takeover (RTO), as Wan Azmi’s Rohas-Euco Holdings Sdn Bhd is offering to sell its entire equity interest in Rohas-Euco Industries Bhd (REI) for RM200 million to Tecnic (fundamental: 1.95; valuation: 2.10). REI is principally involved in the design and fabrication of steel structures for high-tension towers, microwave towers and substation structures. It was listed on Bursa Malaysia before Wan Azmi took it private in 2007. The RTO is satisfied by the issuance of 317.5 million new 10 sen shares in Tecnic at 63 sen a piece, which will effectively give Rohas-Euco an 88.7% stake in Tecnic. Whether Rohas-Euco opts for a placement of shares or sells some of its stake to meet the shareholding spread of 25% remains to be seen. Nevertheless, if the RTO is concluded, the deal will represent Wan Azmi’s first involvement in a listed entity in Malaysia since he sold his 11.95% stake in Penang-based property developer Eastern & Oriental Bhd (fundamental: 1.30; valuation: 1.40) to government-linked conglomerate Sime Darby Bhd (fundamental: 0.80; valuation: 1.40) in 2011 for a sizeable profit. Unlike E&O, where he was a passive shareholder, chances are he will be in control of Tecnic. A search with the Companies Commission of Malaysia indicates that Rohas-Euco is almost 75% controlled by Wan Azmi and his wife Puan Sri Nik Anida Nik Manshor, while the remainder is held by Chan Liew Hoon (14.3%) and Sia Bun Chun (10.8%). Rohas-Euco’s financials were not available as it is exempt from disclosing its financials or the value of its assets and liabilities. Wan Azmi’s comeback is creating ripples because few characters in Corporate Malaysia can boast a résumé like his. He made an impression as a member of former finance minister Tun Daim Zainuddin’s troop of young Malay entrepreneurs in the 1970s and became prominent thereafter through his association with the minister. 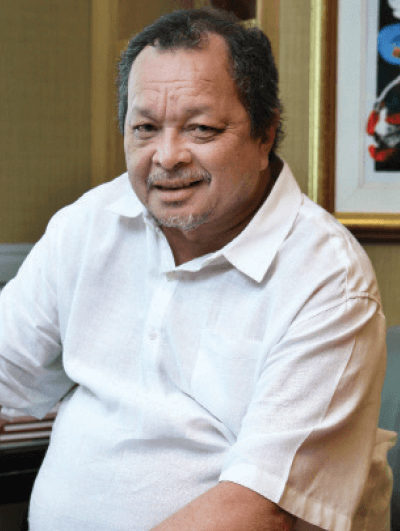 Wan Azmi became CEO of Malayan Banking Bhd (fundamental: 1.40; valuation: 2.25) in 1985, an unexpected appointment given his young age and the shoes he was expected to fill. Then 35, Wan Azmi replaced Tan Sri Jaffar Hussein, who had been appointed governor of Bank Negara Malaysia. It was after his brief stint at Malaysia’s largest banking group that Wan Azmi started to make a name as entrepreneur. His first venture was buying into loss-making sawmiller and timber trader, General Lumber (Holdings) Bhd, in 1987. He turned it into an integrated timber player with downstream businesses before transforming it into a property firm, which he named Land & General Bhd (L&G). L&G’s first flagship development was the Bandar Sri Damansara. However, the company ran into financial trouble during the financial crisis in 1997 as its debt level ballooned to RM600 million. Wan Azmi sold his stake in 2002. The tycoon was also involved in various listed entities, including Rashid Hussain Bhd, Gadek (Malaysia) Bhd, Malaysian Resources Corp Bhd, Cycle & Carriage Bhd, Kretam Holdings Bhd and Bumi Armada Bhd. His other intriguing business moves include the acquisition of a 20% stake in Nanyang Press, which publishes Chinese language newspapers, and a 51% stake in Juara Perkasa Corp Bhd, which was eventually sold to cigarette maker RJ Reynolds. Currently, his 30% stake in private outfit Syarikat Pengeluar Air Selangor Holdings Bhd (Splash) is one of his most notable assets. In 2000, he worked with the Selangor government and Gamuda Bhd to build a RM2.1 billion dam and two water treatment plants in Selangor. Selangor has been involved in a long-drawn-out water assets restructuring exercise with the other stakeholders, with Wan Azmi and Gamuda (fundamental: 1.80; valuation: 2) unwilling to relinquish the water treatment assets to the state due to a disagreement on price. Wan Azmi’s interests are not confined to Malaysia. He has stakes in two AIM-listed firms — Steppe Cement Ltd, a Malaysian-incorporated firm with a cement manufacturing business based in Kazakhstan, and PureCircle Ltd, which makes a plant-based sweetener. The Tecnic RTO is still in its early stages. Rohas-Euco and Tecnic have signed a memorandum of understanding, agreeing to negotiate exclusively and finalise a sale and purchase agreement within two months of the due diligence process. If successful, it should prove to be a marriage of convenience for both parties. Tecnic — now a cash-rich firm after selling its entire plastic products manufacturing business to sister company, SKP Resources Bhd, for RM200 million last October — needs a new business to keep its listing status. The company has made it clear to its shareholders that the MOU will not have an impact on its earnings, assets, gearing or share capital. But, the market knows enough to be thrilled. In a week, Tecnic’s share price rose 23% to close at RM1.48 last Friday.